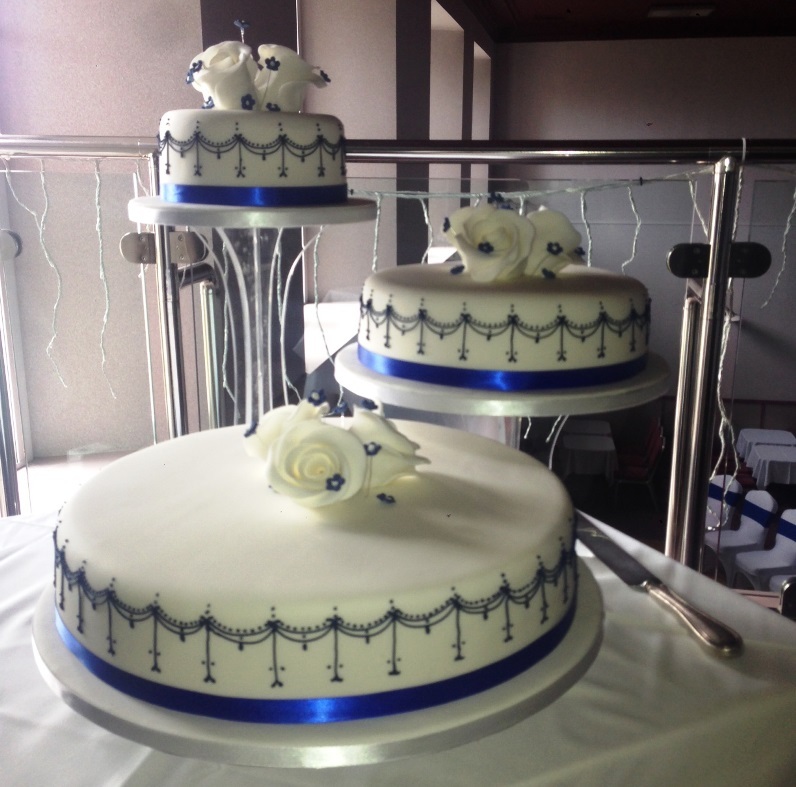 At HomeBakery(Buckie), we know how important the perfect wedding cake is to the bride and groom. Ivory Wedding Veil Cake. Caramel Lustred and Stacked Offset with Hand-Piped Lace Veil Design. Decorated with David Austin Patience and Keira Roses. 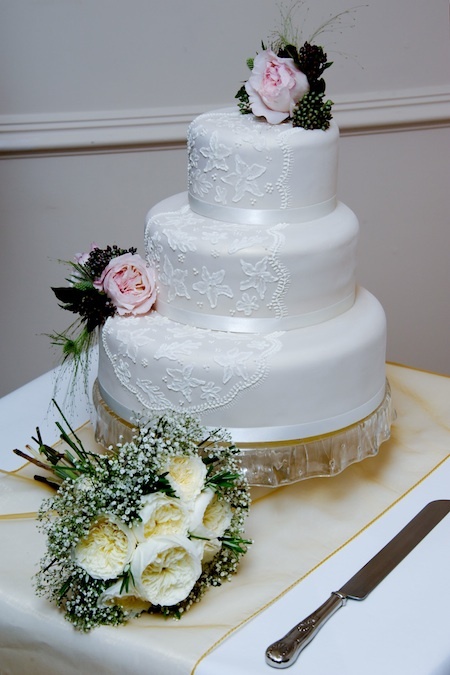 Our wedding cake specialist has over 30 years experience, is highly trained, and has a wealth of knowledge when it comes to designing something special just for you. We do hope you enjoy browsing through our portfolio, and if you click on the cakes you will see the designs in more detail. 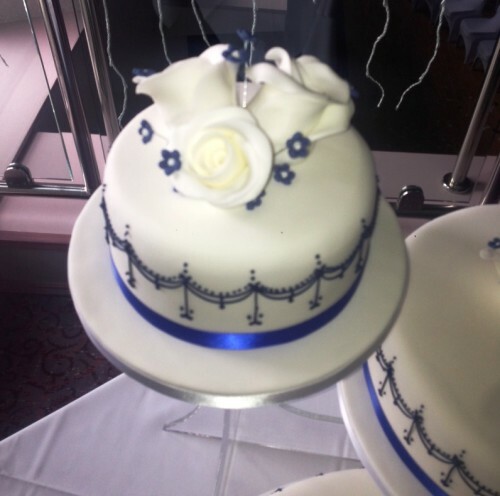 We are also delighted that our wedding cakes have featured in a Wedding Industry Blogsite, and you can read the interview with our confectioner (and see some of the cake designs) by clicking on the link. Intricate work is often difficult to appreciate in photographs, and a visit to the HomeBakery(Buckie) is always recommended. You may even see a wedding cake design in progress, and talk to our specialists directly about your own special cake.